Established in 1966, McCormack Stores is a well stocked local hardware. 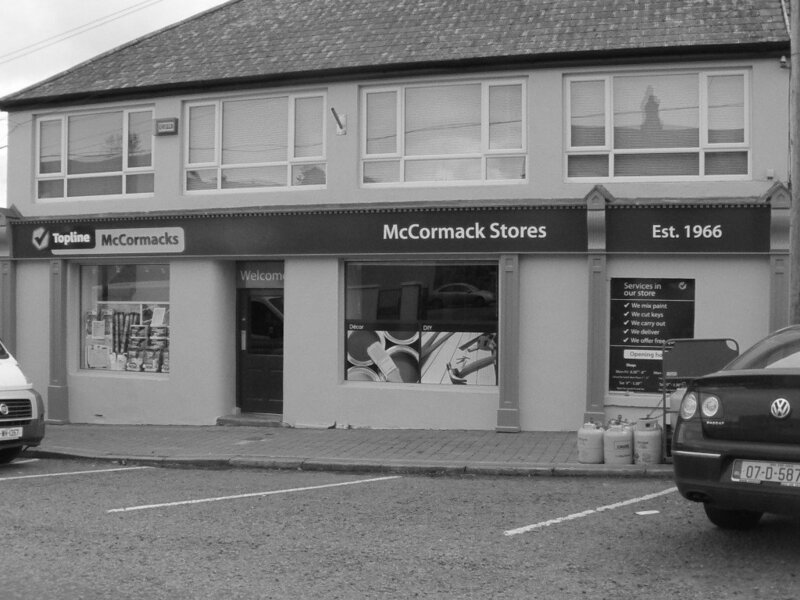 Privately owned by John McCormack and affiliated to the Topline Hardware Group, McCormack Stores offer a range of essential household items, home heating fuels, paints and seasonal goods – all at highly competitive prices. Through their three service yards in the Delvin area, McCormacks provide timber and all manner of building materials to private and trade customers. Following a serious fire at their main store in March 2018, McCormacks are currently operating from a temporary store next to the castle. It is intended that the main store will be rebuilt at the earliest opportunity and we wish the McCormack family every success with this project. Store & yard closed daily between 1 & 2pm. McCormack's Stores Delvin McCormack's Stores Delvin shared a post. Have been wanting one for years. Darryl Harten Mateusz Rataj wait till stripped paint comes out! Fancy adding the impressive Karcher K4 Full Control Pressure Washer to your outdoor cleaning arsenal? To be in with a chance to win, simply find all the Karcher K4s in the image below and comment with your answer. It's that easy. The Topline March Sale is on now! With HUGE SAVINGS on DIY, home, garden and painting essentials! Hurry, offers available at selected stores while stocks last.